Julia, a jewellery designer and maker, uses traditional and contemporary techniques to create striking, one-off pieces in silver. 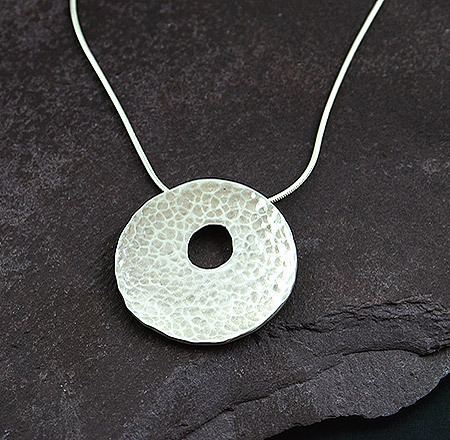 Her work includes bold and organic shapes, some with hammer and making marks which enhance the elemental qualities of the silver, others with a dramatic high polish finish. Semi-precious stones are often used to complement the natural essence of her designs. Each distinctive piece bears the marks of its unique origin – reinforcing the relationship between maker and metal.